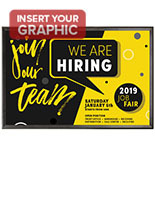 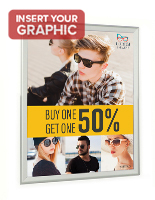 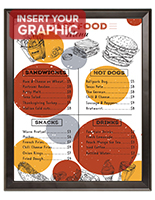 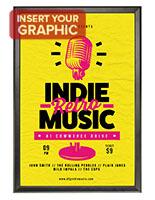 This black snap poster frame offers easy installation and fast changes for 18" x 24" graphics and postings in portait or landscape orientation. 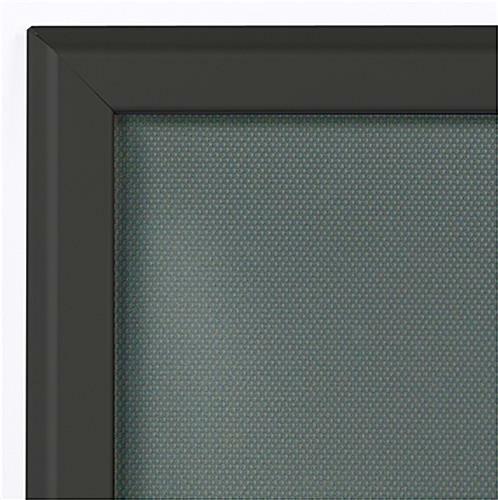 Each lightweight aluminum fixture is designed with "invisible" mounting holes that cannot be seen when graphics are in place. 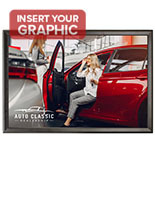 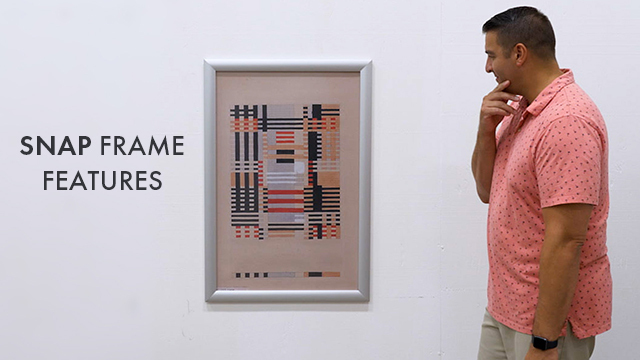 The matte finish 18x24 snap poster frame has "quick clip" framing that snaps open to allow pictures, advertisements, placards, and artwork to be changed without removing the fixture from the wall. 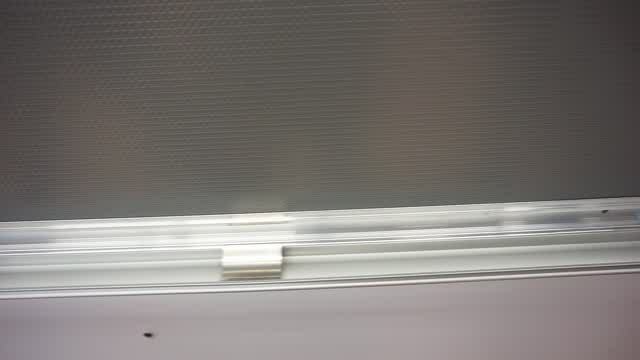 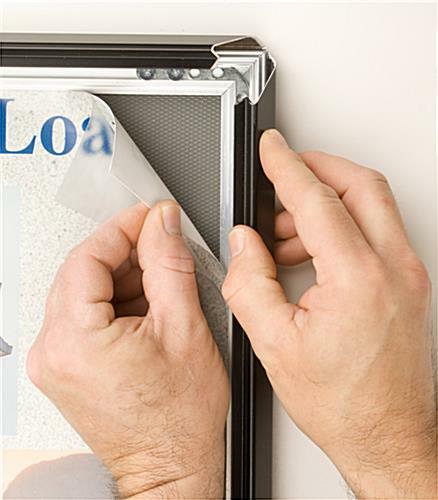 A sturdy backing board and clear acrylic lens help protect installed graphics from damage when in place. 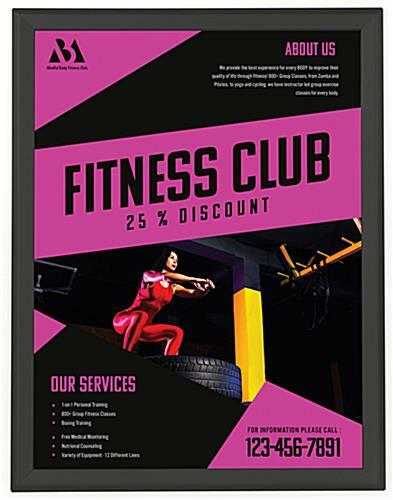 The Quick-Clip thin profile poster frame comes with all hardware needed for mounting the fixture, which can be used in either portrait or landscape orientation. 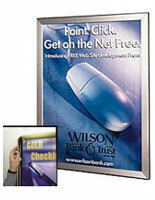 This stylish picture holder's neutral matte finish will complement any commercial business or professional environment. 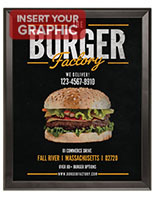 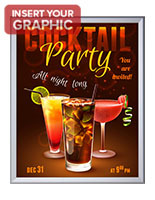 This type of wall mounted poster frame with quick change design is a perfect choice for any operation that changes advertisements, postings or artwork frequently.